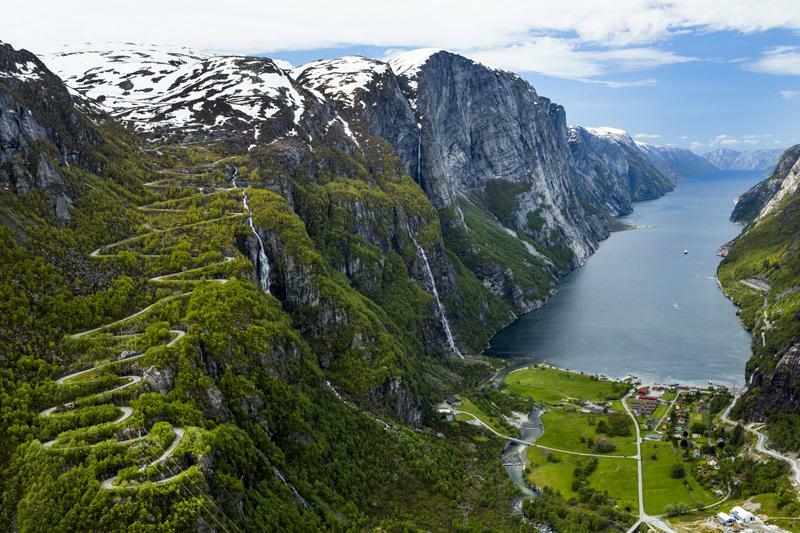 Trollstigen might be Norway’s most famous road but its eleven hairpins surely cannot compete with Lysevegen’s twenty seven. Fv 500 Lysevegen Road. 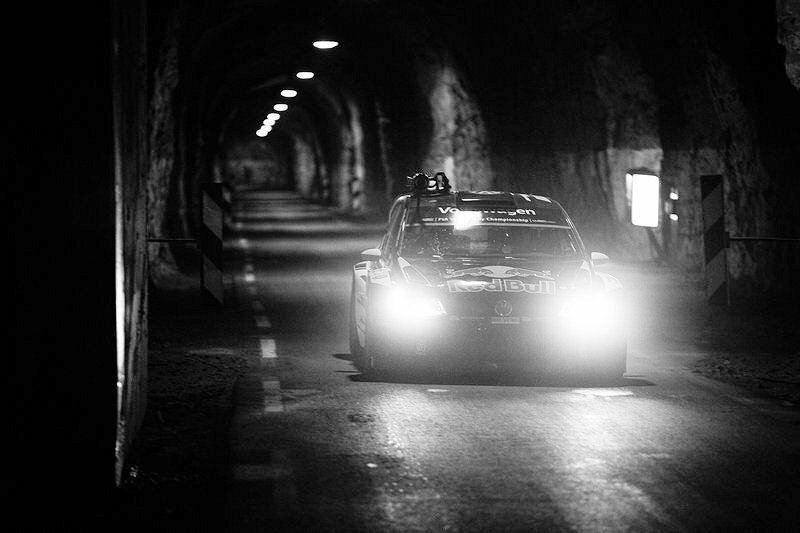 Photo via RedBull.com. More photos and map below. 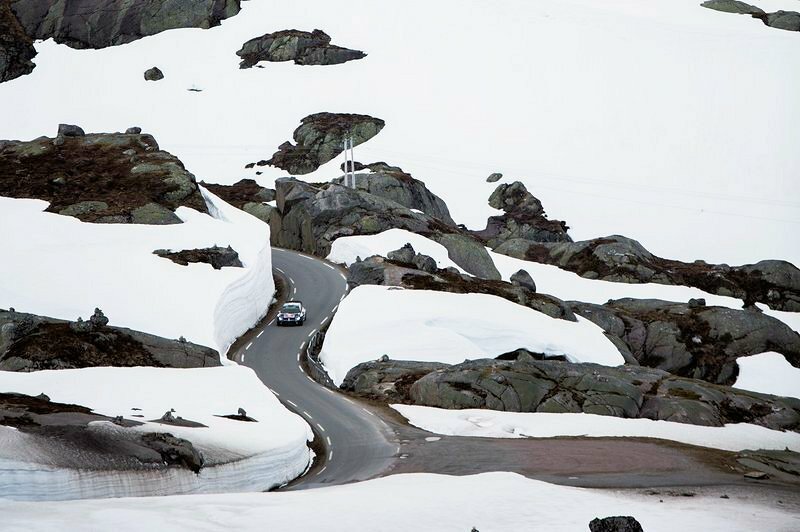 Lysevegen Road just misses out on being included in Norway’s eighteen official National Tourist Routes. The 183km ‘Ryfylke’ comes closest, running up the west end of Lysefjord as it winds its way through the south west of the country. 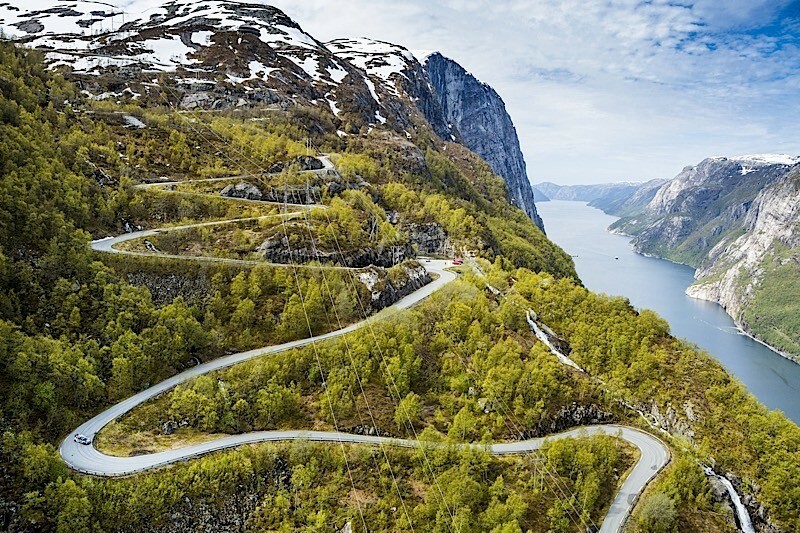 Meanwhile, Lysevegen – Fylkesveg 500 (Fv 500), country road 500 – connects to Lysebotn, the town at the other end of the fjord, around 90km due east of Stavanger. 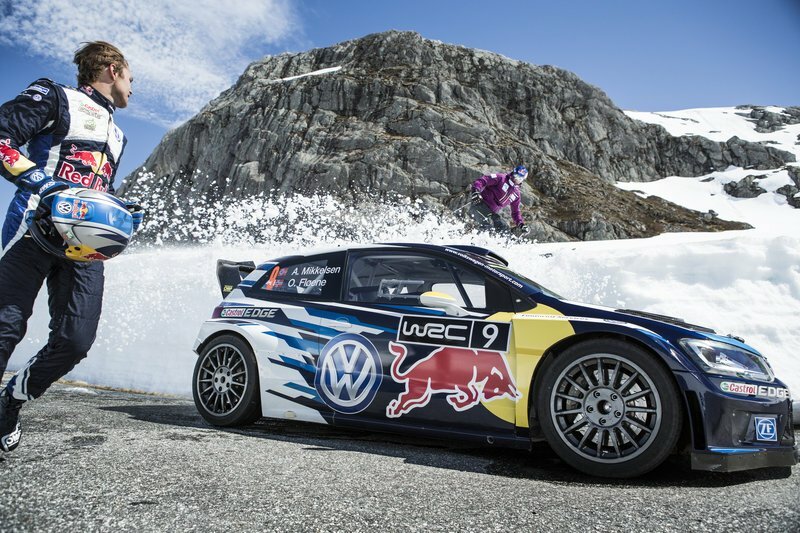 Red Bull thought it would be a jolly jape to have rally driver Andreas Mikkelson race downhill skier Aksel Lund Svindal from the top to the bottom of Lysevegen (see the film here). 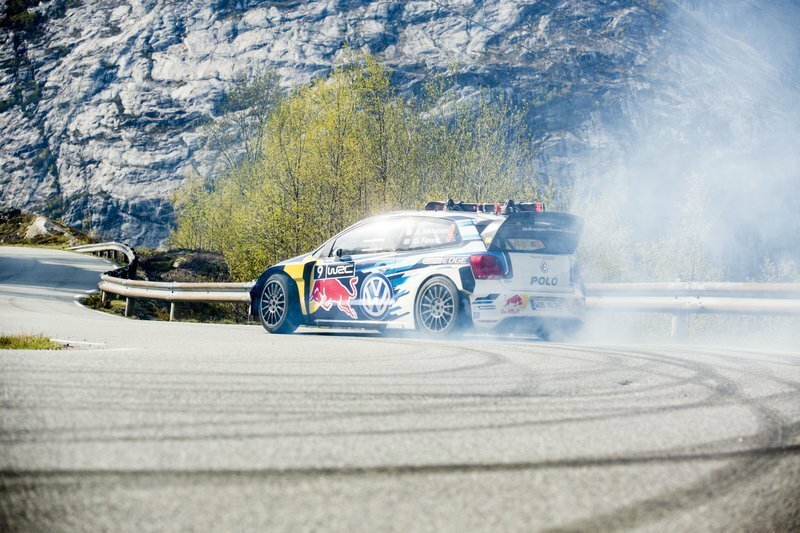 Mikkelsen reached 160kmh in his WRC VW Polo, a velocity not normally associated with a very tight – almost single lane – cascade of twenty seven hairpins like Lysevegen, very reminiscent of France’s Lacets de Montvernier. At the bottom is an unusual 1km tunnel loop entirely inside the mountain. The pair were in a hurry, apparently, to catch the last ferry of the day back along Lysefjord, towards Stavanger, which takes between one hour and two and a half, depending, surrounded by cliffs up to 1100m high (and needs to be booked in advance during high season). 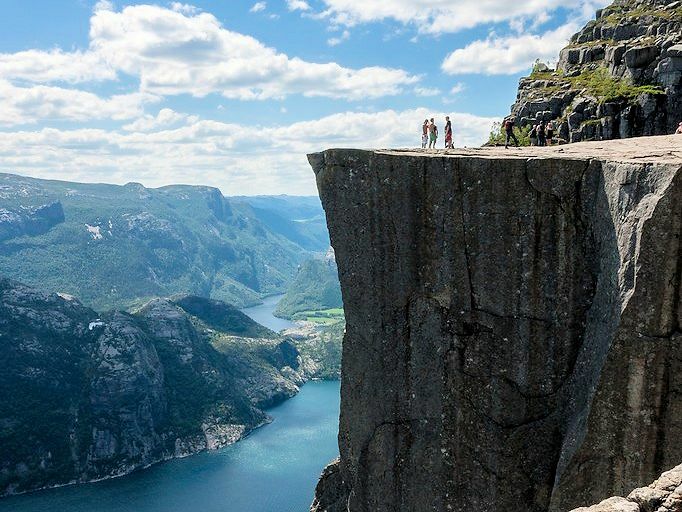 Lysefjord is also known for Preikestolen – Pulpit Rock – the flat square rock which towers 604m over the north shore and Kjeragbolten, a massive boulder stuck between the mountains, 500m higher, on the other side. Some ferries stop just below Preikestolen though it’s a two hour hike up to the rock. There are plenty of camp sites in the area however (though few toilets apparently). 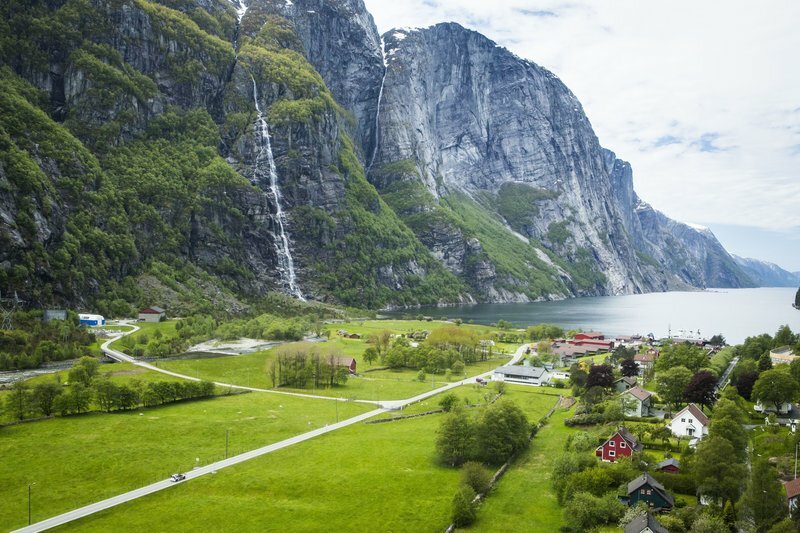 See here for more information on Norway’s National Tourist Routes. ← A Brutal Time To Drive In France, But Don’t Panic!